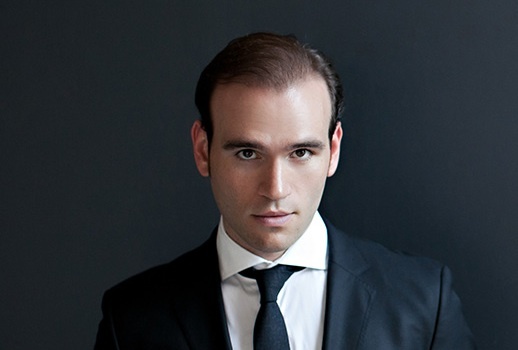 You will be happy to hear that Michael Fabiano was the unrivaled star of the Richard Tucker Foundation Gala last night. You will perhaps be a little less happy to hear that this is not only figuratively but literally true: with so many cancellations and substitutions, Fabiano was about the only interesting thing happening. Out for reasons of illness were Marcello Giordani and Stephen Costello, and Isabel Leonard sent a message—so Barry Tucker told us—that she “woke up this morning with absolutely no voice whatsoever.” Mr. Tucker, a better man than your doyenne could ever hope to be, did not go for the obvious joke. Anna Netrebko sent a letter explaining essentially that since she’s actually started performing the role of Lady Macbeth, she has come to realize that singing anything the day after a performance is just simply a no-go. So go she didn’t. What we got to hear of Fabiano was very attractive, a strong, virile sound with a nice, pingy top. His selections tended toward rant—which, don’t get me wrong, he does magnificently—with only a few moments in a duet from Manon with Joyce El-Khoury revealing nuance. (She was excellent in what might be called the Albanesesque manner, really digging into the voice and relishing the words.) She was the only real star personality on the bill besides Fabiano. Of all the bizarre repertoire, Angela Meade offered arias from Esclarmonde and La forza del destino, which seemed both to fall just outside the extremes of her quite broad Fach. What she does know is how to hold climactic high notes for a really, really long time, and, this being the Tucker Gala, that was enough to bring the audience to their feet. Fabiano’s got a great future, but after tonight’s brief and unglamorous program, I wonder if the same can be said about the Richard Tucker Foundation.